Thoughts go here. 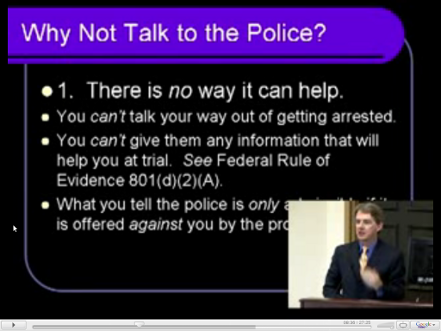 : Never talk to the police. NEVER, ever, ever, ever...talk to the police. A lecture by Professor James Duane and Officer George Bruch. Fascinating to listen to and necessary information. 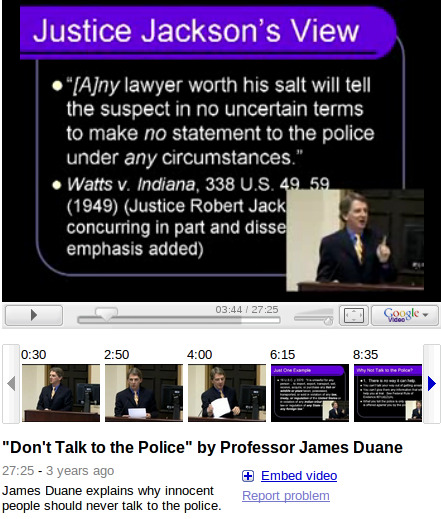 From the description: "James Duane explains why innocent people should never talk to the police." 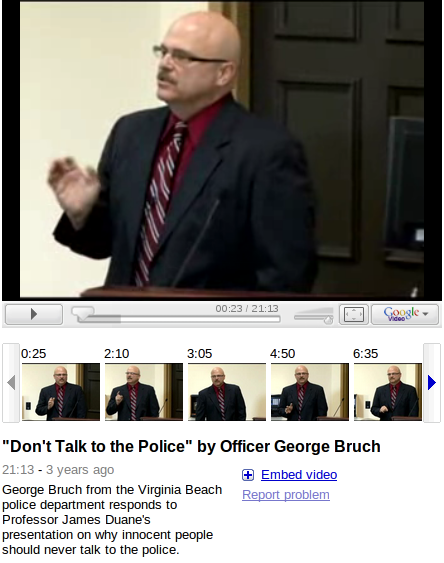 From the description: "George Bruch from the Virginia Beach police department responds to Professor James Duane's presentation on why innocent people should never talk to the police."